On behalf of the Atlantic Alumni we are excited to invite one and all to the idyllic rolling hills of the St. John River Valley in NB. We will be hosting this celebration event from Wednesday December 4th, 2019 – Sunday December 8, 2019. 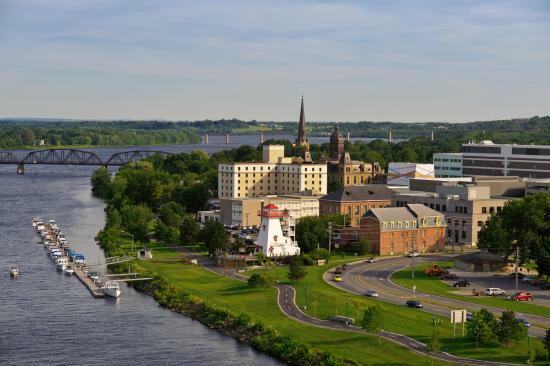 We will be staying along the banks of the mighty St. John River in Fredericton, NB at the Delta Fredericton. We will tour farms that up the valley including picturesque potato, dairy, grain farms and orchards dotting the historical valley. We will enjoy all the fine foods, fun, art, history and culture this city has to offer. The Atlantic region of Canada is known for its ceilidhs and hospitality! So pack your dancing shoes and mark your calendars and come celebrate Canadian agriculture with us for a National OYF Ceilidh! For more information on Canada’s Outstanding Young Farmers’ Program, please visit www.oyfcanada.com.